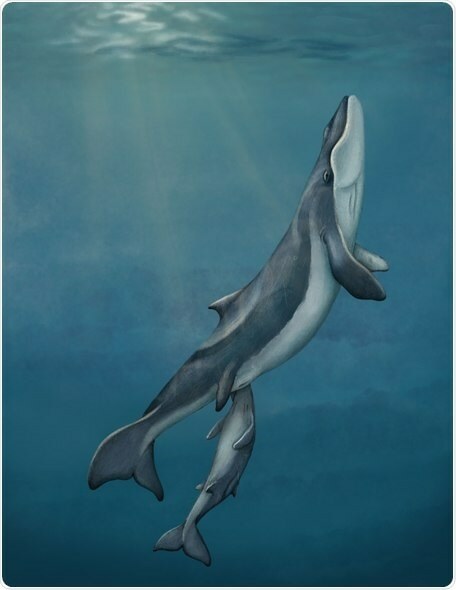 Maiabalaena represents a surprising intermediate stage between modern filter-feeding whales and their toothed ancestors"
"Filter feeding in baleen whales represents an innovation without precedent among any other mammals, and its origin has been a long-standing question since Darwin," Peredo says, comparing it to the transition from scales to feathers in dinosaurs and fins to limbs in tetrapods. The findings add to evidence suggesting that the loss of teeth and the origin of baleen are separate evolutionary events. They also help to shape scientists' understanding of the evolutionary origin of baleen, which remains one of the most enigmatic and unique structures in mammals. The new specimen dates back to the Eocene-Oligocene boundary (33 million years ago). The researchers say this time period represented a critical moment for whales, when changing geology spurred major changes in feeding. They'll now continue to document the full diversity of feeding modes across this boundary to understand how changing environments triggered the origins of modern whale groups.